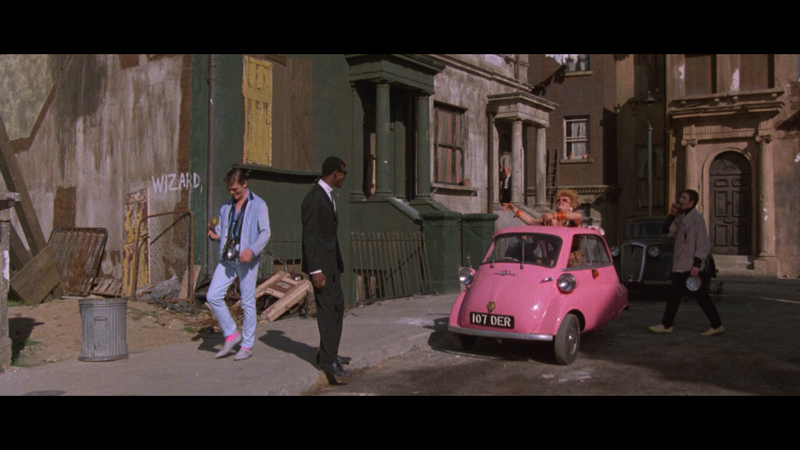 Absolute Beginners isn’t great but the performances all around are well done and some of the songs were at least catchy. The cinematography was also impressive as was the camera work especially the opening which looks like a one take, though there were a couple places for splicing. 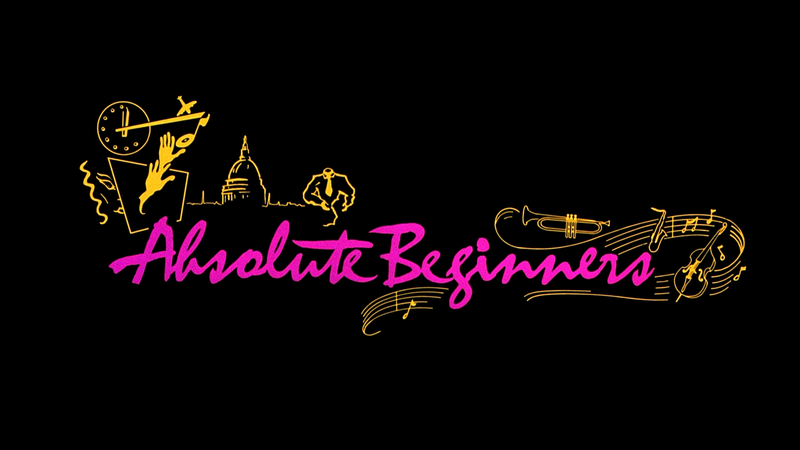 Director Julien Temple’s free-form rock musical adaptation of Colin MacInnes’ cult-fave book about life in late-Fifties London, Absolute Beginners offers music and performance by the likes of David Bowie, Sade, Ray Davies, The Style Council, and Gil Evans. 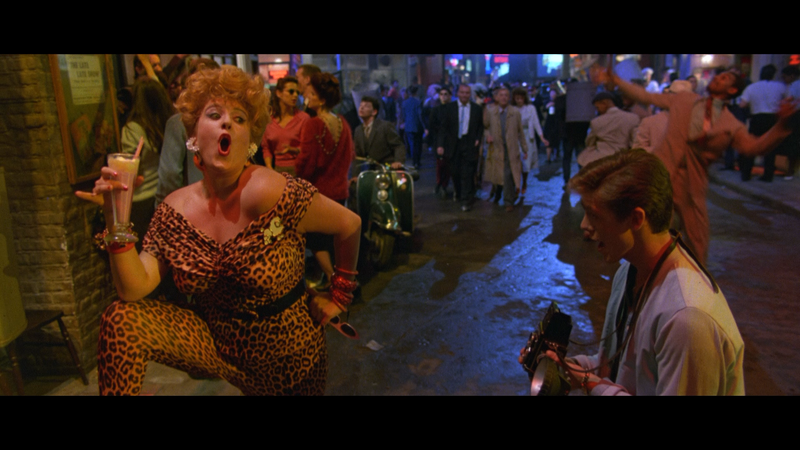 Focusing on the British music scene on the cusp of the 1960s, the film features a breakout performance from Patsy Kensit. No features were included outside of the Isolated Score Track. Inside is a 6-page essay booklet. 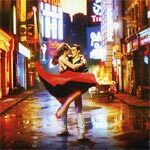 Absolute Beginners dances its way onto Blu-ray courtesy of Twilight Time presented in its original 2.35 widescreen aspect ratio and a rich 1080p high-definition transfer. The picture itself showcases bright and brilliant colors throughout and although details, especially for more distant objects, aren’t the best, it still doesn’t look half bad. However, I did notice some instances of dust marks and scratches though nothing overabundant or distracting. The highlight of this release is the 5.1 DTS-HD Master Audio track (a 2 channel track is also available) which gives the soundtrack so much life and good depth from the voice over work to the catchy tunes. It’s a well preserved track for something going on nearly 30 years old and a project not exactly in the mainstream (in the U.S. anyway). 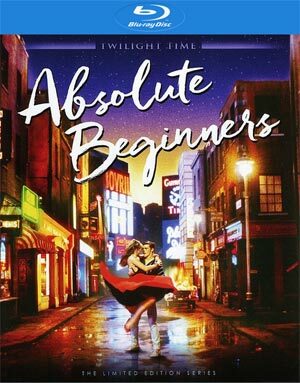 Overall, Absolute Beginners isn’t great but the performances all around are well done and some of the songs were at least catchy. The cinematography was also impressive as was the camera work especially the opening which looks like a one take, though there were a couple places for splicing. In any case, the Blu-ray released by Twilight Time is rather weak with no bonus material though the video and audio transfers make it a possible purchase for any fans.